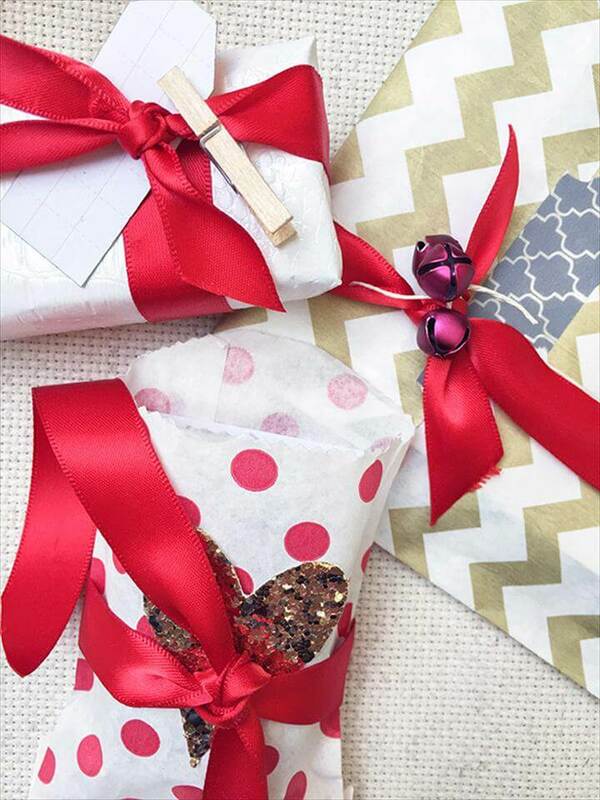 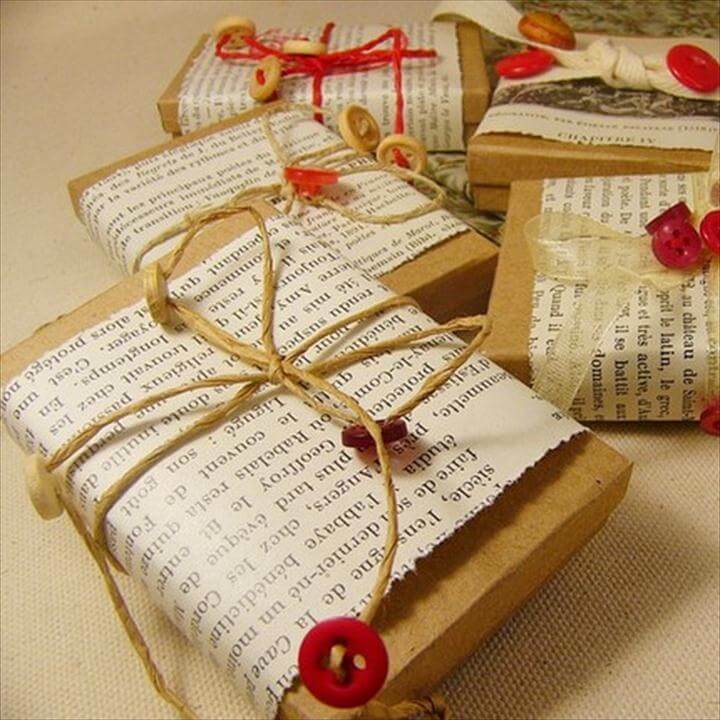 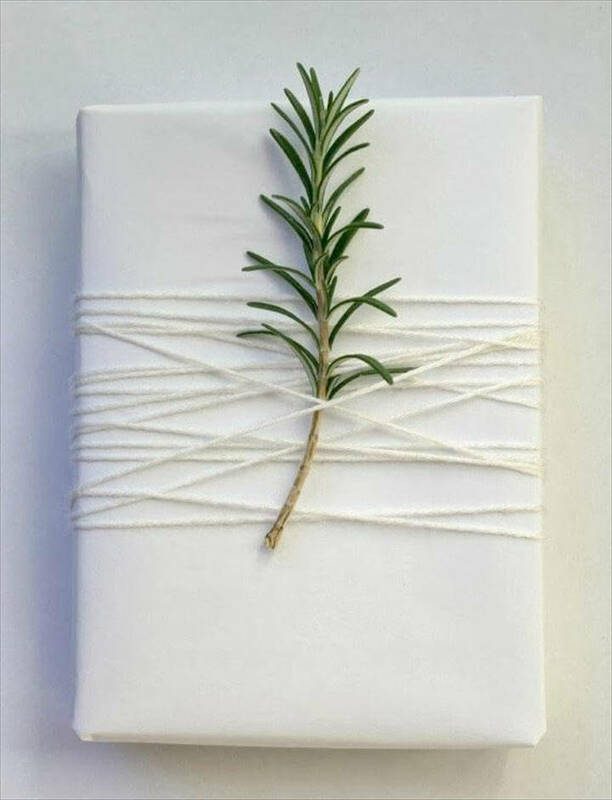 Gift wrapping is definitely an art if we look deep into it. 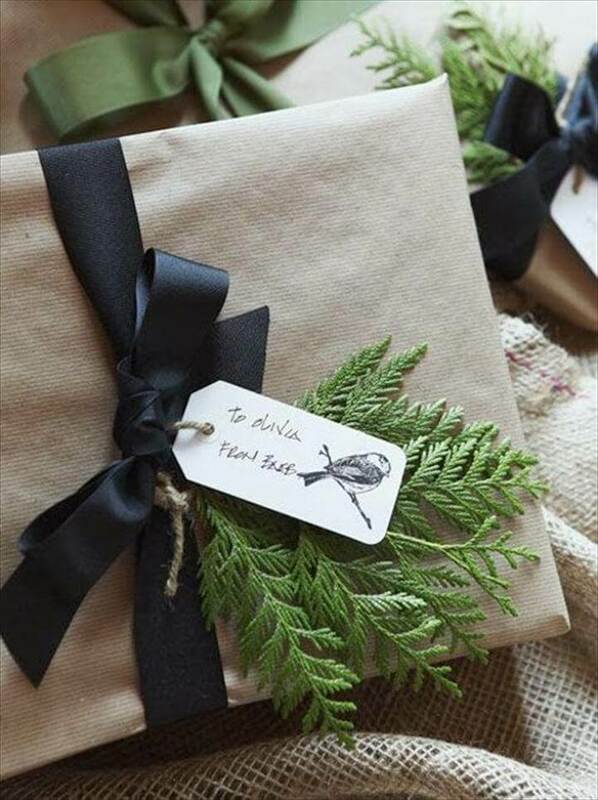 When we present any gift to someone, that gift has to be wrapped in a way that shows our affection and pure love and intentions behind it. 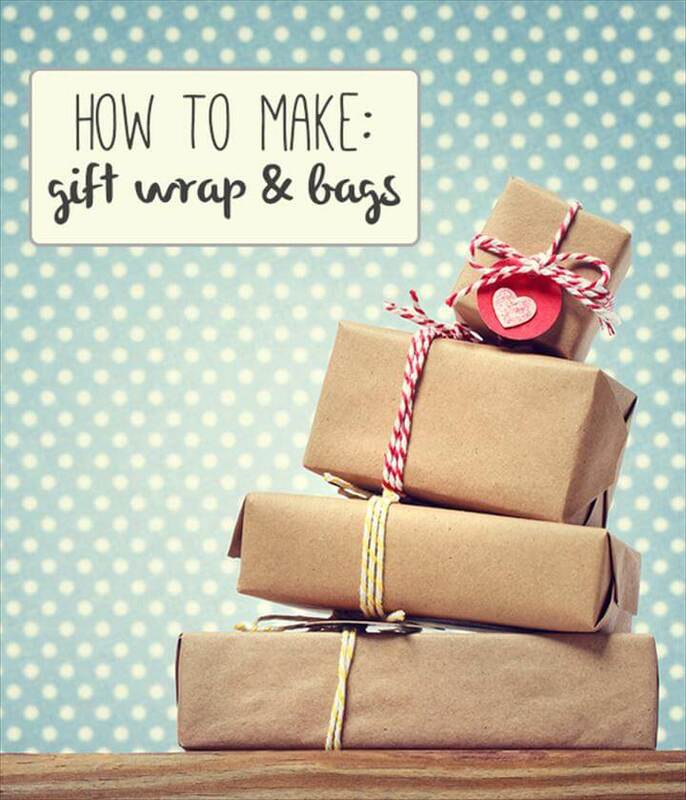 Here we will share 30 DIY Gift Wrapping Craft Ideas – Quick & Easy of the most exciting yet easy gift wrapping ideas that you can learn in a blink of an eye and can wrap your gifts accordingly. 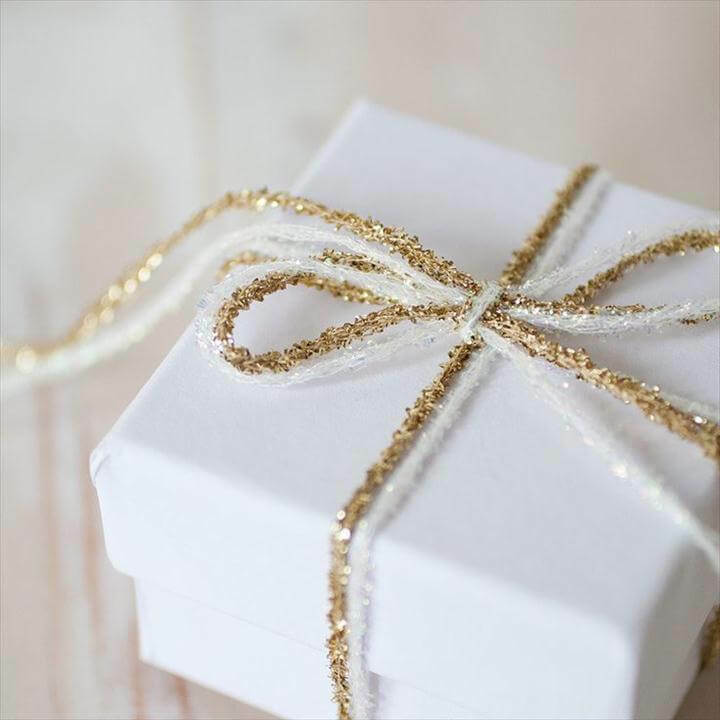 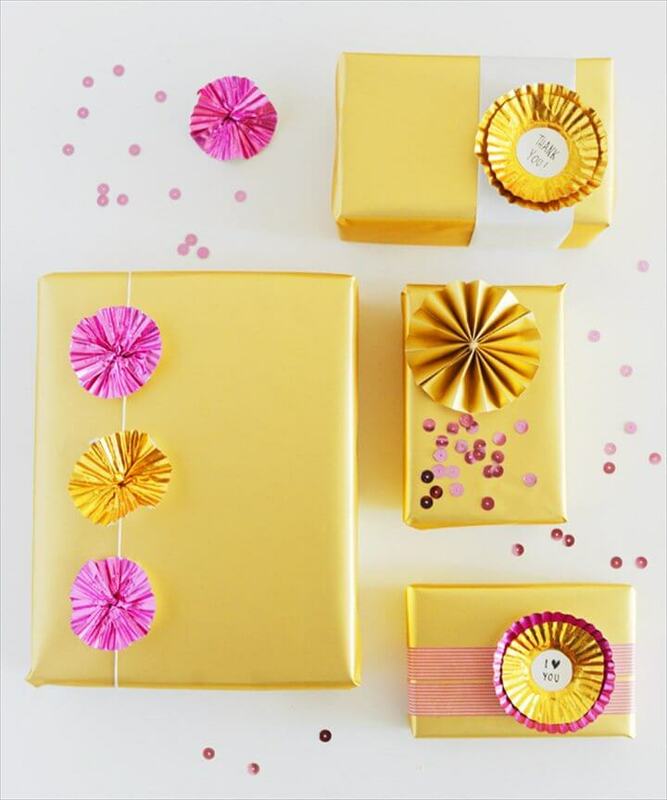 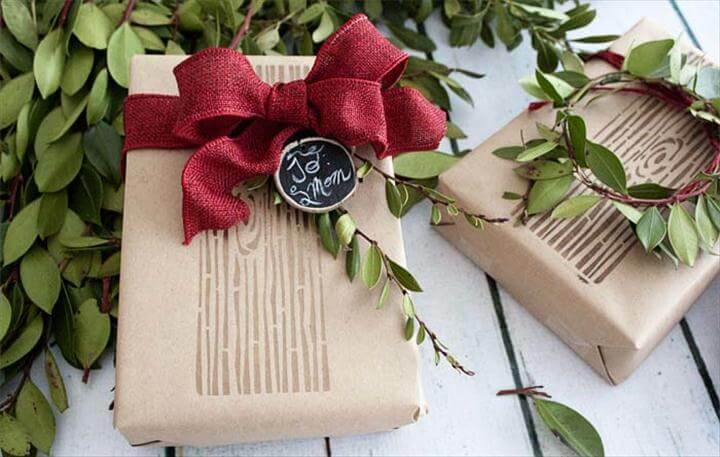 There are several different ideas when it comes to gift wrapping. 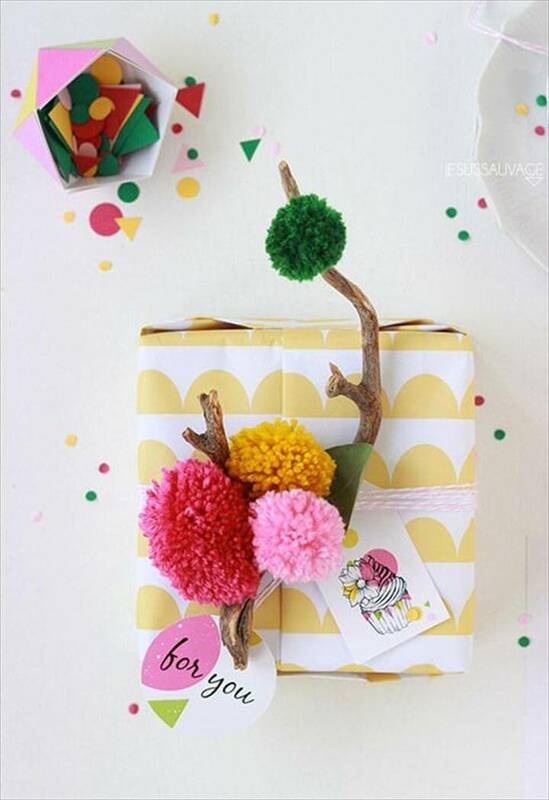 The first project that we have here for you is gift wrapping with colorful ball that gives a typical party look to the present and you only need to have some colorful decorative balls and some colorful ribbons for this and decorate them on to your simply wrapped gift. 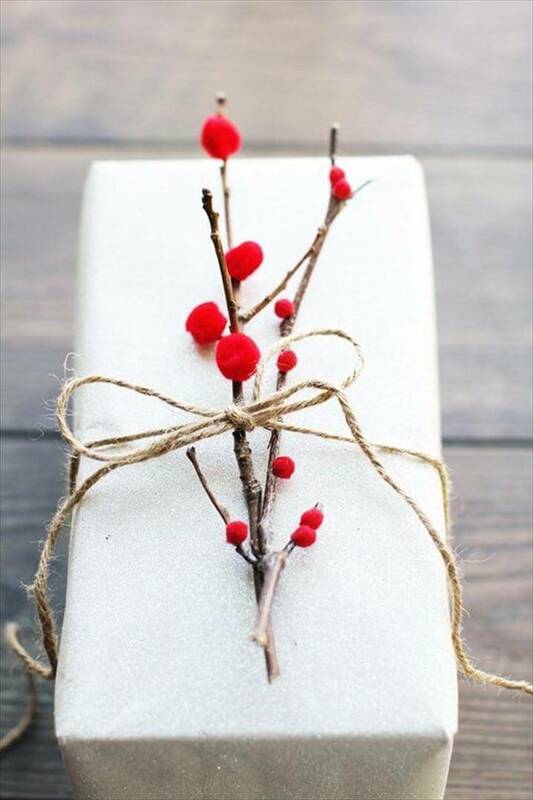 Next we have a gift wrap done with denim fabric which is indeed adorable and perfect for a small pocket size present so grab your hands on your old discarded jeans to create something worth giving. 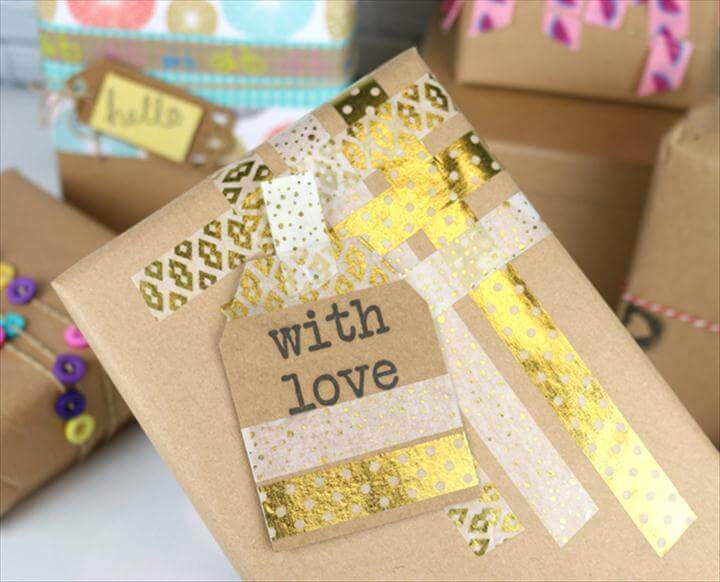 Give a thought to adding some colors and glitters to your gift wrapping project to make them sparkle a little more. 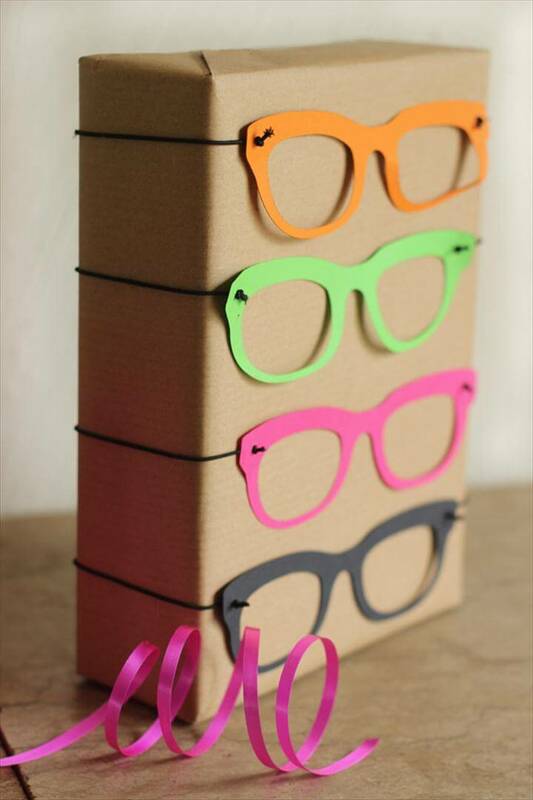 Have a look at this next one which is based on the theme of spectacles or glasses. 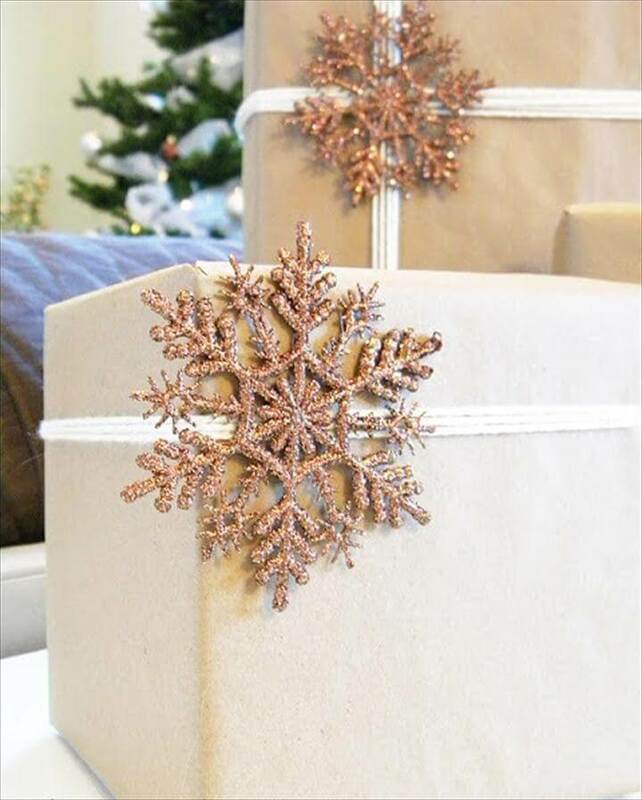 Snowflakes can also be used for these projects as they can give your present a complete snowy, winter look and perfect for the Christmas presents. 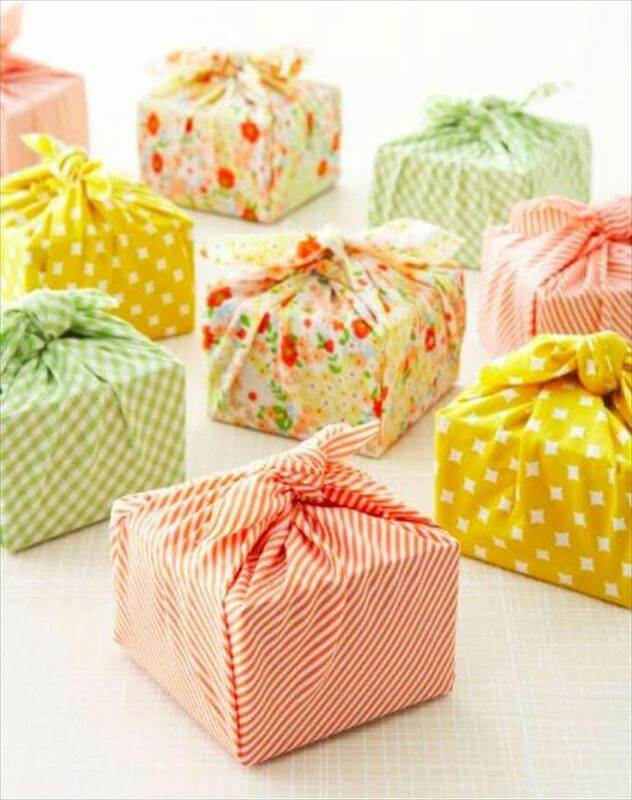 Doily is yet another decorative material for the gift wrapping projects so store some of these too to your crafting box this time. 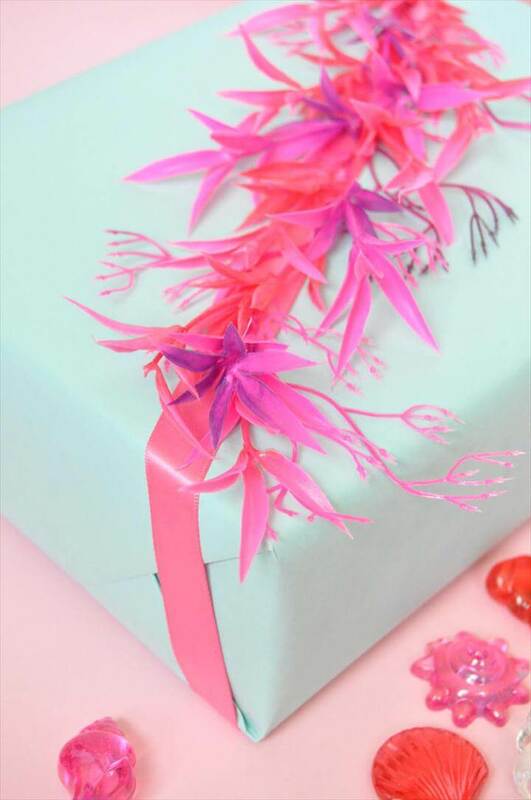 Leather is absolutely phenomenal for gift wrapping ideas as this eliminates the use of wrapping papers all at once and you only need to wrap your gift carefully into that scarp leather piece and add some decorative items on top of it just as you add cherries on top of a cake. 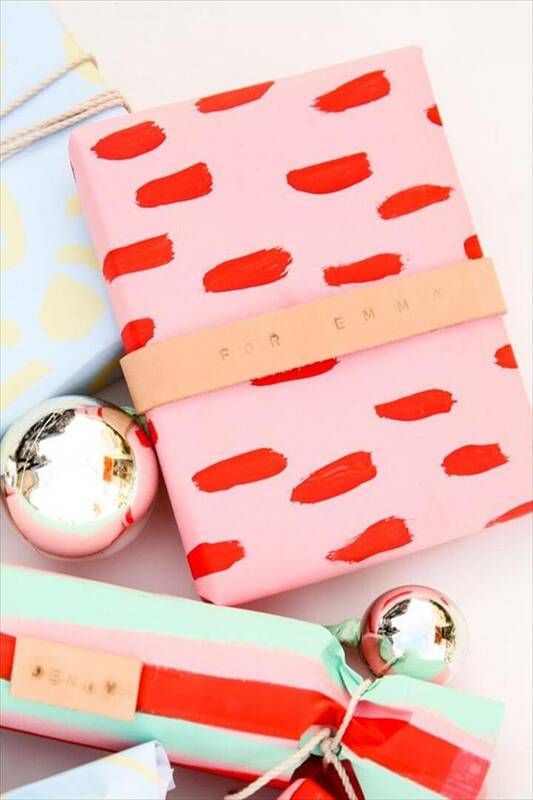 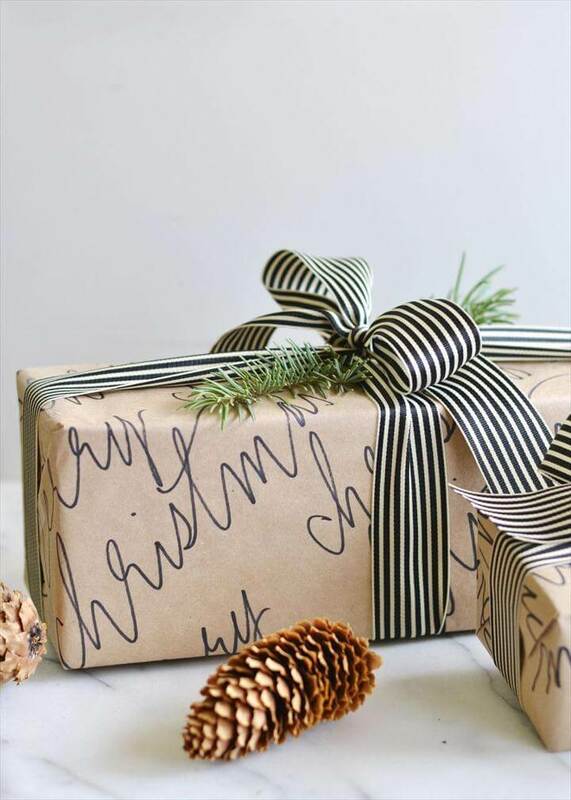 Calligraphy wrapping papers for wrapping is also a new idea these days in the creative market. 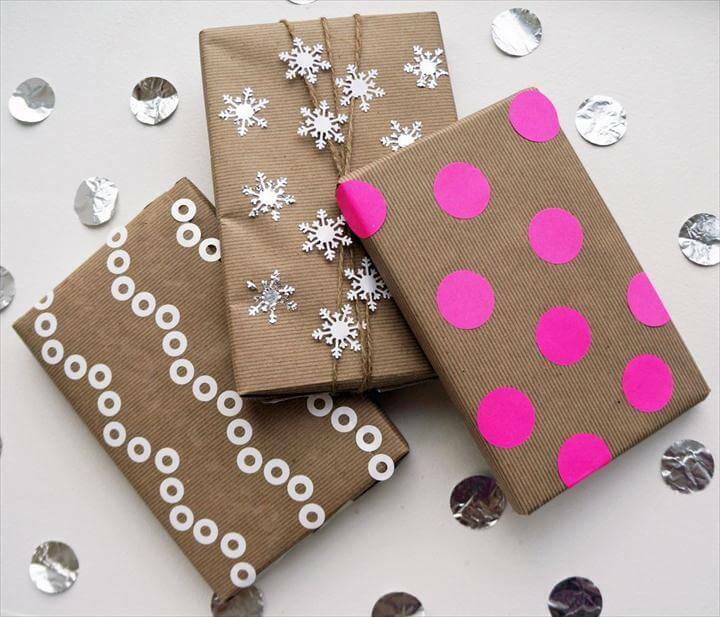 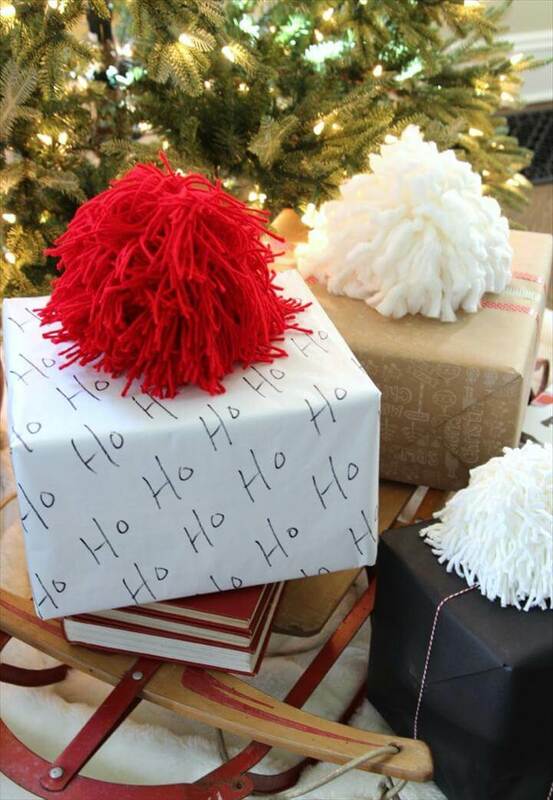 Have you ever wonder how you can use old sweaters for the purpose of gift wrapping? 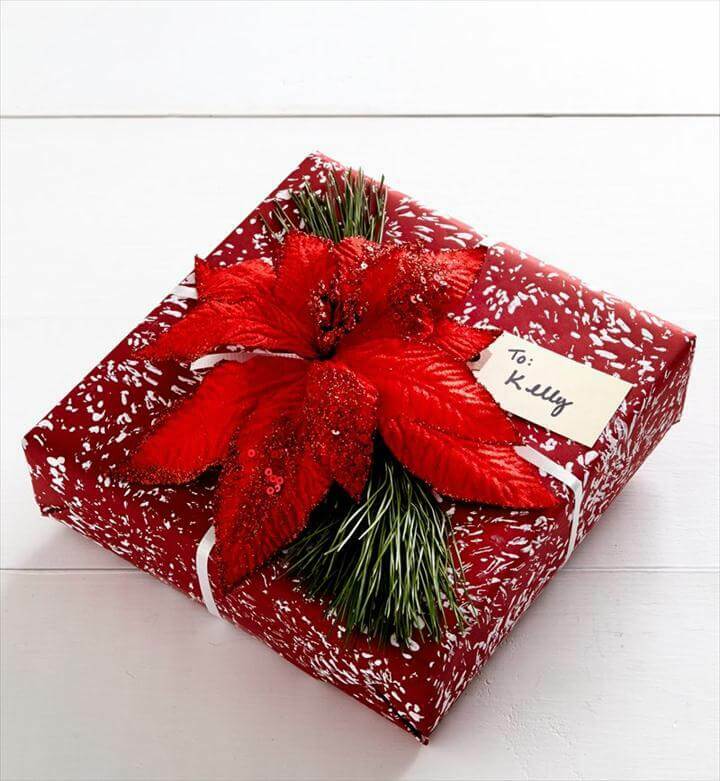 But trust me it can do wonders to your gift. 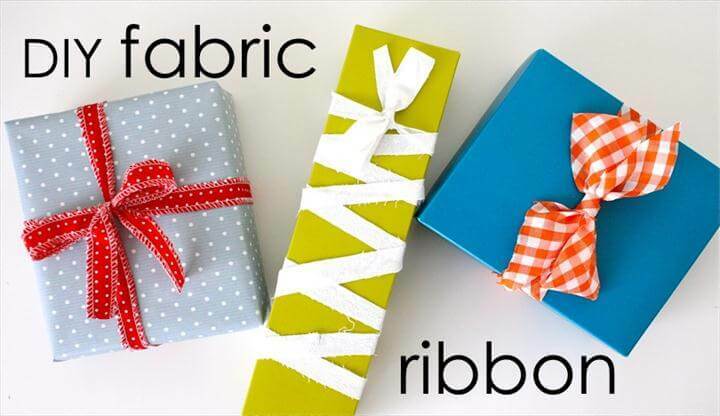 Besides this we have many other simple yet creative ideas for gift wrapping which are not only easy but you also don’t need to have so many supplies for those projects. 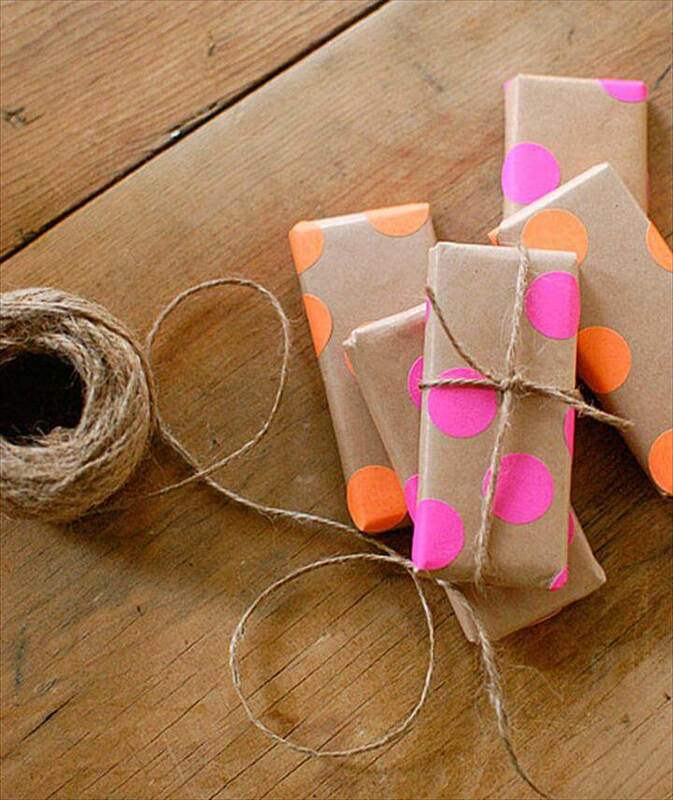 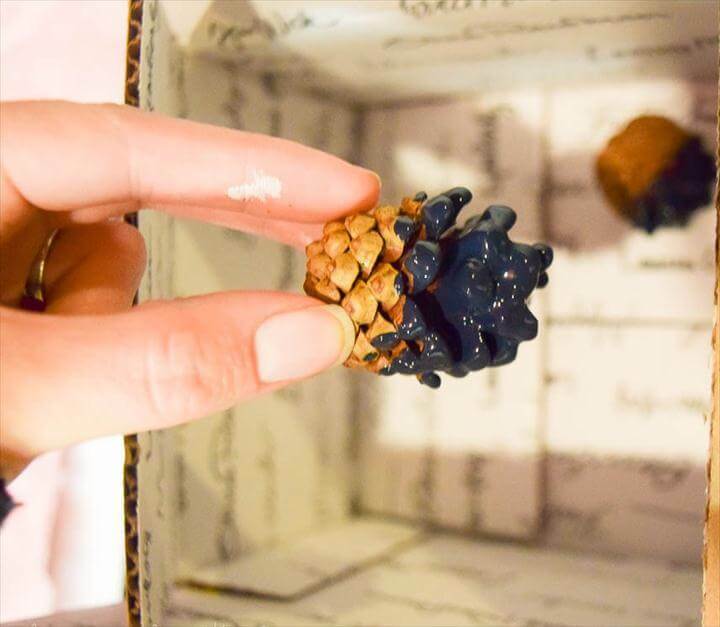 Your gift wrapping must impress and please to the one who receives it and so it is necessary that you pay attention to it more than usual and these diy gift wrapping ideas will surely help you do it in much better ways. 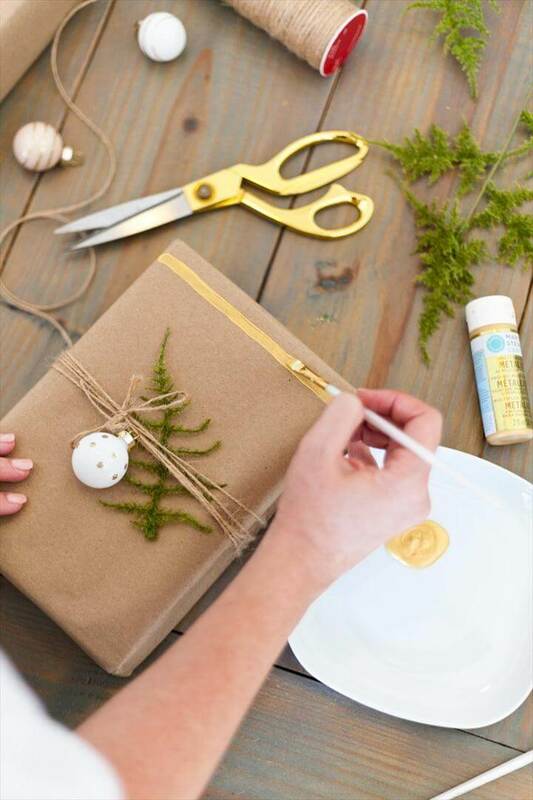 Try to follow the tutorials provided to you in the links given below the pictures so that you can have a perfect idea of how to work on that particular project.